But is this type of property security really sufficient? Conventional fixed cameras only monitor fixed zones, mechanical safety devices can be hacked, climbing protection can be bypassed with preparation. Potential perpetrators seldom attempt to break into a building within the field of video technology and often chose to do so late at night or in bad weather. Security personnel cannot protect the entire perimeter against unauthorised entry around the clock. In the event of a break-in, the response is usually too late, damage has already been caused and too often the goods can be stolen undetected. Is there no “real-time” solution? 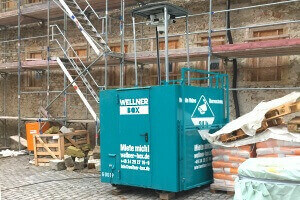 The WellnerBOX can secure any type of property. Instead of the complete box, only the compact sensor head is used. By using existing power connections, installation on, for example, poles or buildings, is quick and easy. In the case of an intricate property architecture or several far-flung security zones, sensor units and any additional surveillance technology can become effective in a network. 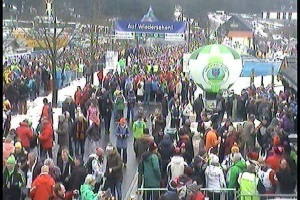 When connected to a video control station, quick action can be taken in the event of an anomaly. False alarms can be prevented. 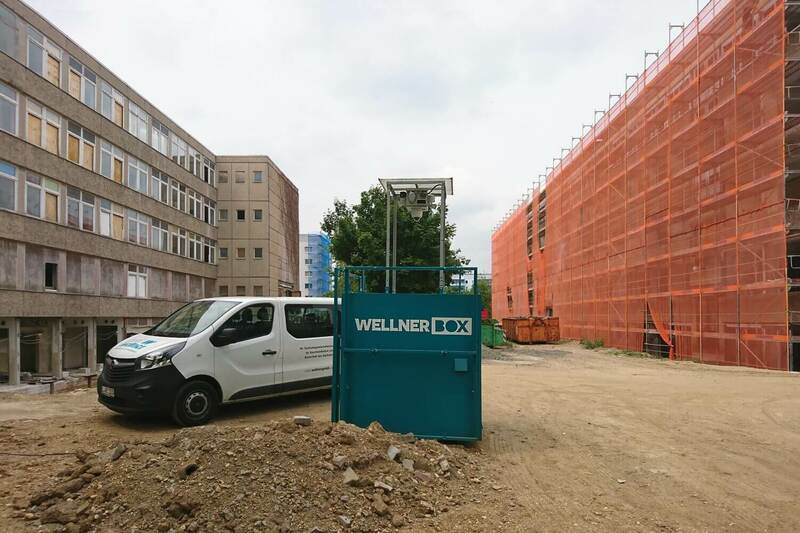 The WellnerBOX can replace permanently installed systems due to the minimal cabling and the complete functionality of the system, especially if it is only used for a limited period of time, for which a permanently installed system is unsuitable for cost reasons. All outstanding questions can be best answered directly and without obligation with one of our competent security experts.